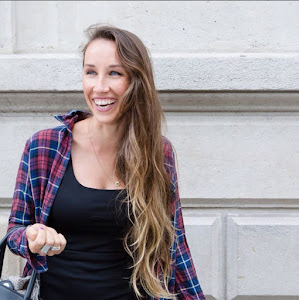 Christie Fischer : Coconut Oil; Are you using it? And is it in your Bedroom?? Coconut Oil; Are you using it? And is it in your Bedroom?? For the last 60 years (so I've only read) the majority of health care officials and the media have been telling us that saturated fats are bad for our health and lead to a host of negative consequences, including high cholesterol, obesity, heart disease and Alzheimer's disease. I know I've heard it all my life. But for the same length of time, all these diseases and conditions have also been escalating. How is that so? 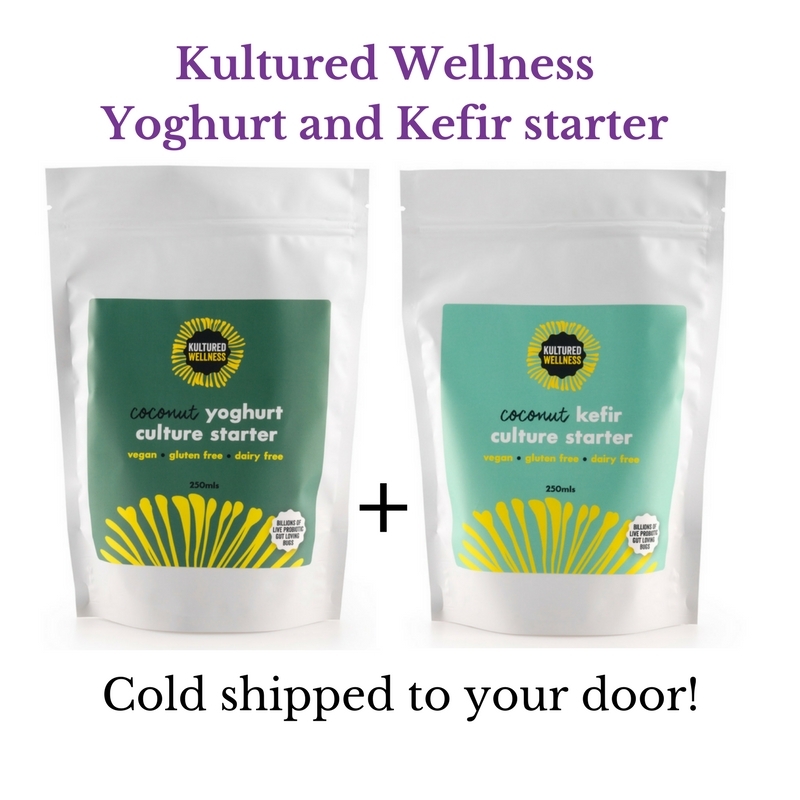 Well the fact is, saturated fats are not all created equal; created because some saturated fats occur naturally, while other fats are artificially manipulated into a saturated state through the man-made process called hydrogenation. 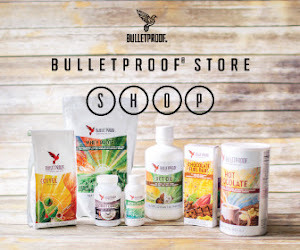 This process changes and manipulates vegetable and seed oils by adding hydrogen atoms while heating the oil, producing a rancid, thickened substance that really only benefits processed food shelf life and the profits of the big companies making them. These manipulated saturated fats are also called trans-fats -- and are one of the worst thing's you can put in your body. What's good about saturated fats? Back in the 1930s, Dr. Weston Price found South Pacific Islanders whose diets were high in coconut to be healthy and trim, despite high dietary fat, and heart disease was virtually non-existent. Similarly, in 1981, researchers studying two Polynesian communities for whom coconut was the primary caloric energy source found them to have excellent cardiovascular health and fitness. (2) Obviously, coconut oil was doing nothing to harm the health of these islanders. Coconut oil is also nature's richest source of medium-chain fatty acids (MCFAs), also called medium-chain triglycerides or MCTs. By contrast, most common vegetable or seed oils are comprised of long chain fatty acids (LCFAs), also known as long-chain triglycerides or LCTs. LCTs are large molecules, so they are difficult for your body to break down and are predominantly stored as fat. 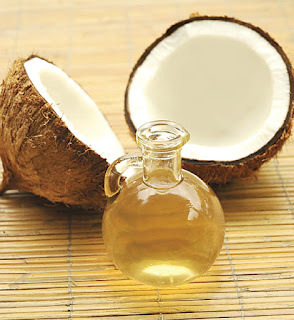 But MCTs (6) found in coconut oil, being smaller, are easily digested and immediately burned by our liver for energy -- like carbohydrates, but without the insulin spike. MCTs actually boost your metabolism and help your body use fat for energy, as opposed to storing it, so it can actually help you become leaner. So how do we use the stuff? I only use coconut oil (or ghee) for cooking. Olive oil is not a good oil to use in cooking. The chemical structure of it makes it highly susceptible to oxidative damage; simply put, it turns bad. Olive oil is a great oil to use -- but drizzle it on your salads, make dressings with it, pour it over your meal AFTER the cooking has been done. But don't heat it. Coconut oil on the other hand, being a good saturated fat, has a higher heat point and can withstand the high heat in cooking foods, without turning bad. NOTE: Definitley don't cook with vegetable oils such as corn, canola, safflower, sunflower etc. These are far worse than olive oil. Why? They produce toxic chemicals when cooked with, form trans-fats, destroy antioxidants in the oils (= oxidiation), most are genetically modified, over-consumed, and contribute to the common overabundance of omega-6 fats in our diets, throwing off the balance with our omega-3 fats, which has a whole host of problems in itself. As body oil/lotion! You will smell AMAZING! Add drops of your favourite essential oil if you like. It is also a fabulous hair mask for dry and brittle hair. I told you to work this one out yourselves! Have you signed up for my Weekly Nutrition Notes Newsletter? The very first one comes out this Friday so make sure your name's on the list or you'll miss out on the weekly juicy bits! Sign up here. And... 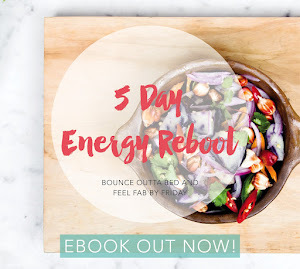 If you have an insatiable lurve of ebooks that make you not-wanna-put-them-down coz they're so yummy, scrummy and bursting with delicious things to make your life even better than what it already is... 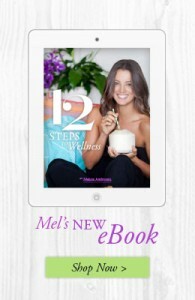 I highly recommend Melissa Ambrosini's brand new (and very first) ebook 12 Steps To Wellness. 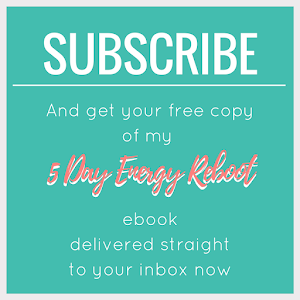 Melissa is an incredibly beautiful soul (and my amazing coach) and if I'm loving her book, I know you will too!